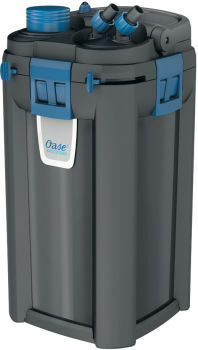 The OASE BioMaster Thermo 250 is an externally mounted aquarium filter with integral 800L/Hour pump and 150w Heater. The filter is designed for fresh water or marine aquariums up to 250 Litres (55 Gallons) capacity. 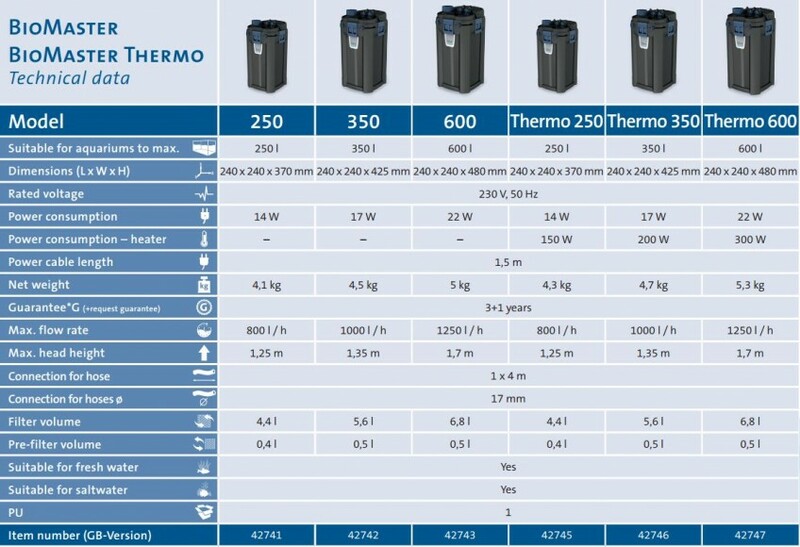 The BioMaster Thermo is designed and engineered in Germany and is packed with innovations to make the task of aquarium filtering as simple and efficient as possible. 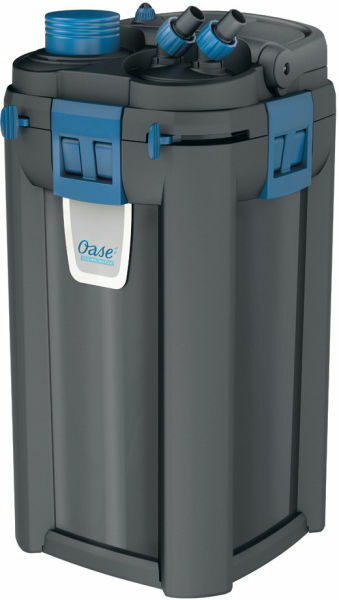 The EasyClean pre-filter section can be simply removed for cleaning without the need to disconnect hoses and also features a robust built-in priming button for fast start up after cleaning or upon installation. 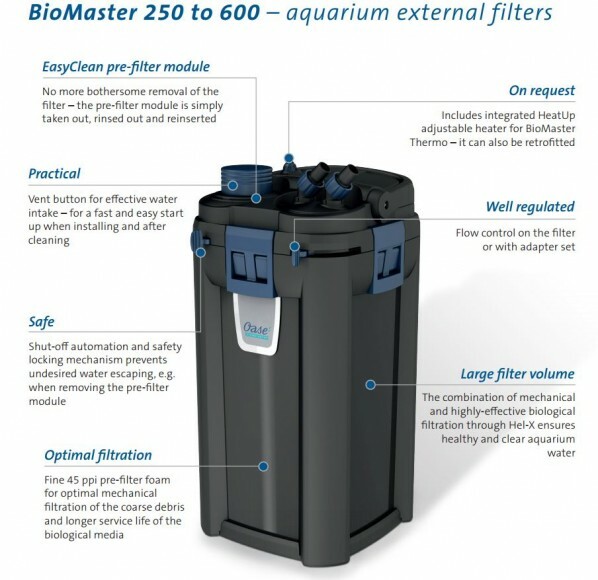 The BioMaster also contains a series of fine and coarse filter sponges mounted inside the main filter section and 2 layers of OASE Hel-X 13 BioMedia. 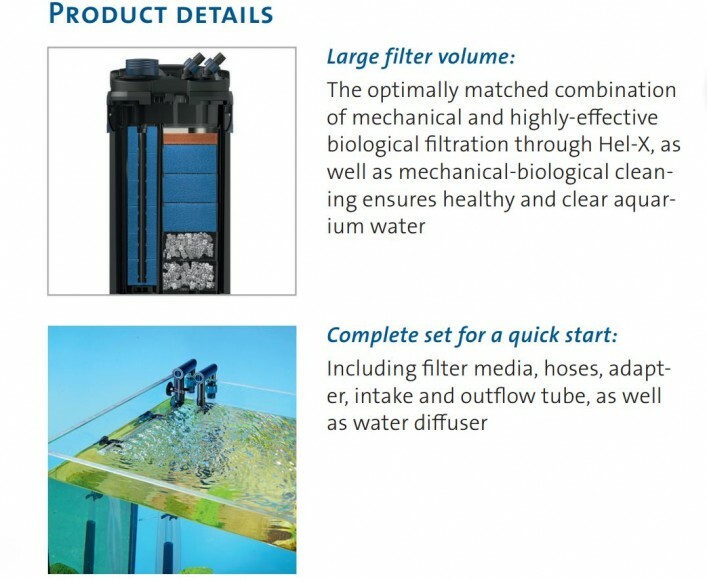 The combination of foams and Biomedia offer superb mechanical and biological filtration and the main filter segment requires infrequent maintenance, thanks to the EasyClean Prefilter.